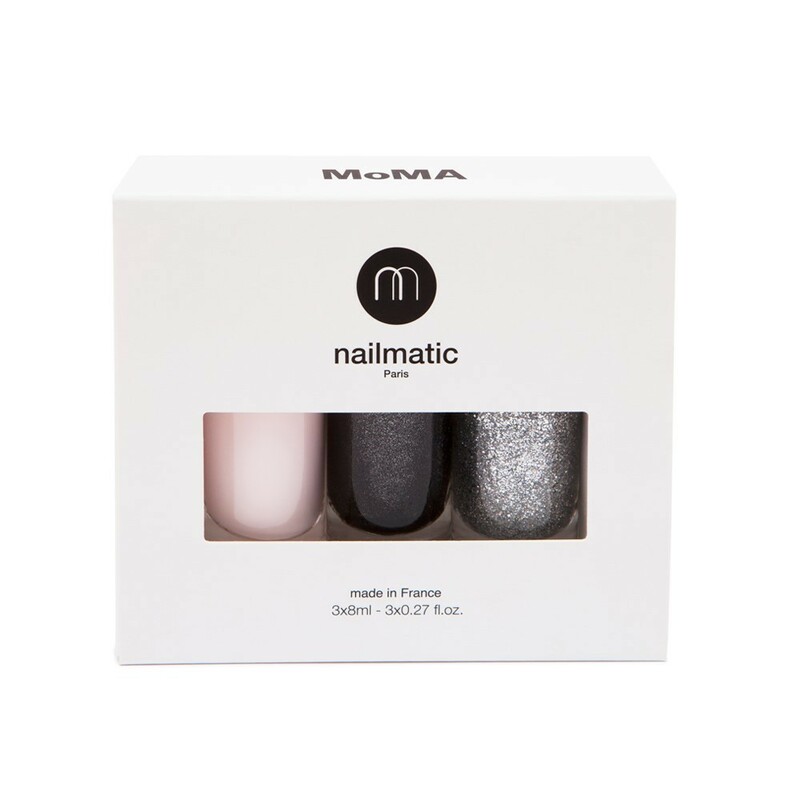 Blog> Events>nailmatic & MoMA exclusive collaboration! 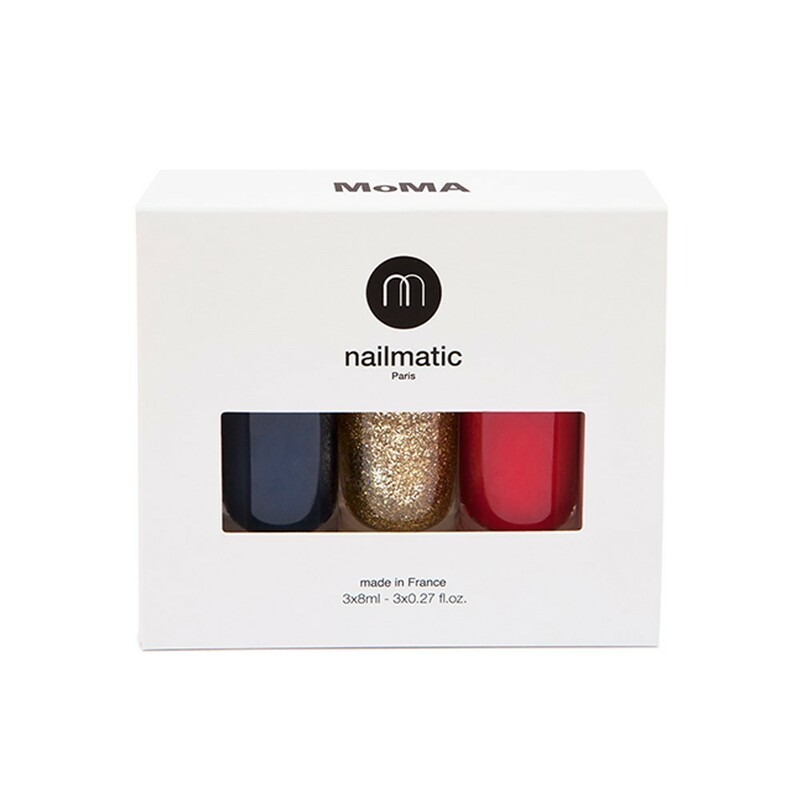 nailmatic & MoMA exclusive collaboration! 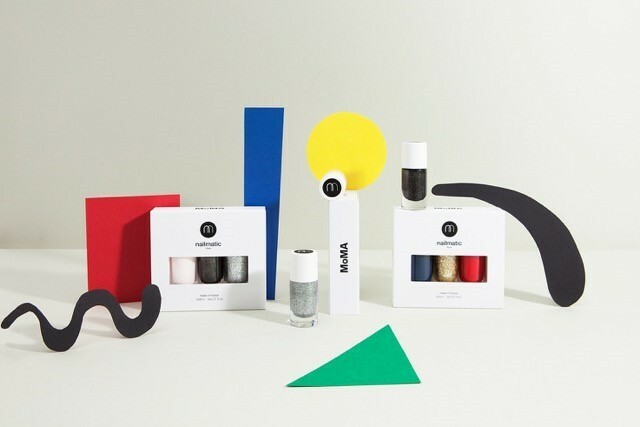 nailmatic was invited to create two exclusive nail polish sets in line with a major fashion exhibition at MoMA, NY. Needless to say, we are beyond excited to be involved! The Museum of Modern Art in New York City is holding its first exhibition devoted to clothing design in 73 years, entitled « Items: Is Fashion Modern? ». Focusing on objects rather than designers, it features 111 famous pieces of popular culture like the Levi’s 501, the Little Black Dress, the sari, Calvin Klein briefs, the pearl necklace, the flip flops or the Savile Row suit. We at nailmatic heavily connect with the famous Breton shirt (made in France), for obvious reasons! The MoMA also made a selection of limited edition designs inspired by the show, inviting iconic brands to be part of this incredible journey. Among them, Rick Owens, Marni, Ray Ban, Armox Lux and Issey Miyake. Among them, no other than us nailmatic!! We designed the packaging in collaboration with the MoMA (including their logo) to match the exhibition. These sets are available for purchase at the MoMA Design Store, both at the museum, the Soho location and online here. If you're in NYC, come by and check the exhibition out (and us of course) :) The exhibition runs until January 28th, 2018! There's a color for every fashionista ;) C'mon treat yourself, you know you want to!